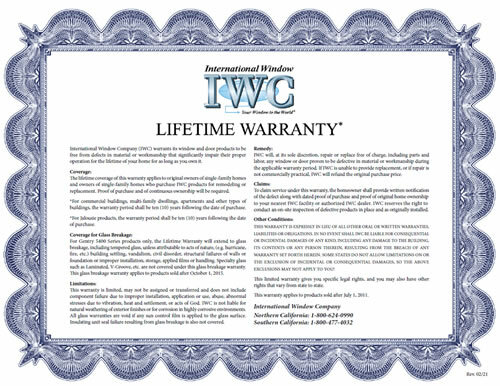 In keeping with our tradition based on providing quality windows and doors at immeasurable values, we at International Window Corporation are pleased to announce the Lifetime Warranty Program. We are confident you will be pleased with this advancement and we look forward to providing you with beautiful International Window products for a lifetime. For more information regarding the International Window Lifetime Warranty please contact your authorized International Window Dealer.